Mercy For Animals (MFA) is a classic example of welfarist organizations that make a habit of talking out of both sides of their mouths, and of saying one thing while doing another. There is much that could be said, and has been said, by way of criticism of this organization. 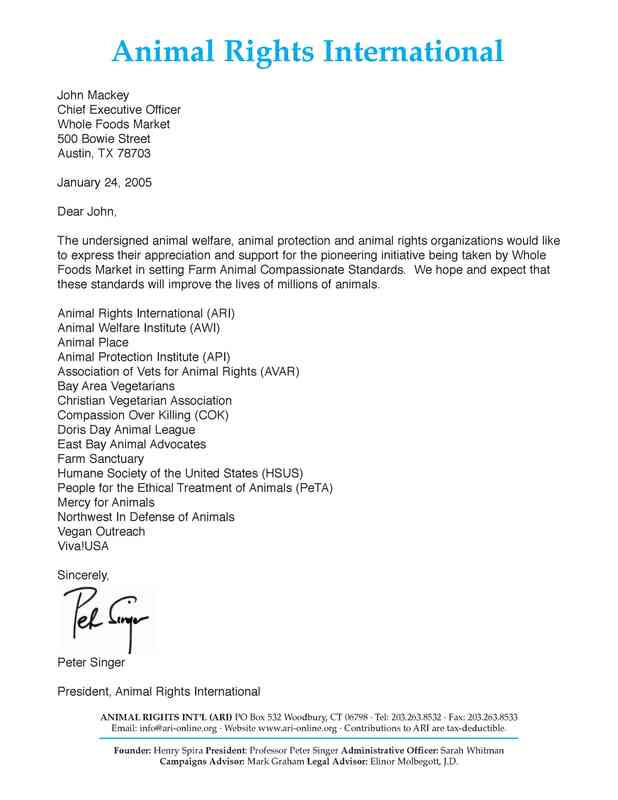 MFA was one of the groups that joined with Peter Singer in 2005 in signing the infamous and shameful letter to John Mackey, CEO of Whole Foods, to express their “appreciation and support” for Whole Foods’ supposedly “pioneering” standards of animal exploitation, thus inaugurating the “happy” exploitation movement. According to Mackey, MFA actually helped to create these standards, which allow the consumer to choose the level of animal torture they wish to purchase. MFA and the other groups involved have been asked in an Open Request to retract their endorsement for “happy” exploitation. To date none have done so, including MFA. But in this essay I want to focus on MFA’s position regarding cage-free eggs. MFA condemns cage-free eggs here, here and here as not “cruelty-free,” and not “what you think,” that is, not “humane;” as involving overcrowding, no access to outdoors, painful mutiliations without anesthesia, maceration of live baby male chicks, and violent slaughter of hens when their egg production slows. How to explain, then, that MFA relentlessly promotes cage-free eggs? Yes, that’s right. They promote cage-free eggs although they acknowledge that cage-free eggs involve all sorts of cruelty. MFA’s blog page, the same one that condemns cage-free eggs, features numerous entries—nineteen in the space of a year—celebrating MFA’s “success” in convincing retail food businesses to “pledge” to adopt a cage-free egg policy, typically to be implemented by 2025-6. This intensive campaign continues, currently targeting food retailers in Brazil. OPP also gave grants to fund cage-free egg campaigns to The Humane League (whose founder, Nick Cooney, is now Director of Education at MFA), The Humane Society of the United States (HSUS) and Compassion in World Farming. All of these are traditional welfarist organizations, with no goal of ever abolishing animal use, but only of supposedly improving the treatment of farmed animals and promoting the continuing consumption of animal products. OPP is itself a blatantly welfarist organization of the same persuasion. MFA’s aligning itself with this lot shows that they have abandoned any pretence to being a “new welfarist” organization that sees abolition of animal exploitation as the ultimate goal that can supposedly be achieved through welfare reform, and are competing for the same donor market as the traditional welfarist groups. It appears that MFA wants to graduate from being “HSUS lite” to being the equivalent of HSUS. With the enactment of Prop 2, California is leading the way towards a society in which farmed animals are treated with the respect they so rightly deserve,” says Nathan Runkle, president of Mercy For Animals. “As a civilized nation, it is our moral obligation to protect all animals, including animals raised and killed for food, from needless suffering. It’s time for egg producers nationwide to end the cruel and inhumane confinement of hens in wire cages so small they cannot walk, spread their wings, or engage in most natural behaviours. This cheerleading for cage-free eggs occurred only one and a half months after MFA condemned cage-free eggs in the blog post that worried OPP. In response, Gary Francione criticised Runkle’s statement as a morally repugnant betrayal of animals, pointing out that it’s outrageous to characterise cage-free conditions as amounting to “respect” for the poor birds trapped in them. Runkle clearly did a sterling job of convincing OPP that MFA is fully committed to selling out animals in return for a hefty grant, and that any former objections to exploiting chickens for cage-free eggs could be safely disregarded. To say that cage-free conditions are “not perfect” beggars belief for its hideous misrepresentation of the misery that these conditions constitute for chickens. “Significantly better” means that the birds are still tortured, perhaps slightly less, and still meet the same premature and violent death in a horrifying slaughterhouse, with the built-in prospect of being boiled alive. This is what Runkle demonstrated his alacrity to promote, making MFA a partner with the egg industry. With friends like this, the animals do not need enemies, willing to trade away their interests in exchange for money. For their part, OPP obviously judge that MFA have made good on their commitment such that they are now funding them to the tune of $1,000,000, for openers at least, to promote “higher welfare,” that is, supposedly more humanely raised chicken meat. Runkle and his colleagues are being richly rewarded for their willingness to betray animals. One thing is clear: corporate welfarist groups like MFA are not only in partnership with commercial animal exploiters; they are commercial animal exploiters. They are the sector of the animal exploitation industry that helps legitimise it to the public. They reassure us that we can continue exploiting with a clear conscience. Just switch to cage-free eggs and you’re doing fine by animals. Give yourself a big pat on the back for being a “compassionate” consumer.